Bath & Body Works introduced discontinued scents and my heart sang. I knew I had to make a beeline for the store and get some Country Apple and Pearberry. I knew I didn't want to go overboard, because I really am trying to use more of what I have. But these are only in stores for a limited time before switching to online, which I rarely do from B&BW because of shipping costs. Pearberry and Country Apple are the scents that got me through middle school, high school and college. I smell them and I am instantly reminded of good times and mornings spent in the cafeteria before classes started. Spritzing myself before band practice or going to BSU (Baptist Student Union) on Thursday nights. Scent is a powerful thing and I love when it brings back specific memories! Now if B&BW would bring back Toasted Hazelnut. Does anyone remember that one? Ahh, so good. Island White Pineapple soap - Part of the summer collection. I needed a new soap for my kitchen and this one is so vibrant. Pearberry shower gel - Kind of wish I had gotten the mist, as well. It was 3/$12 and a hard choice! Country Apple mist - My favorite apple smell of all time. 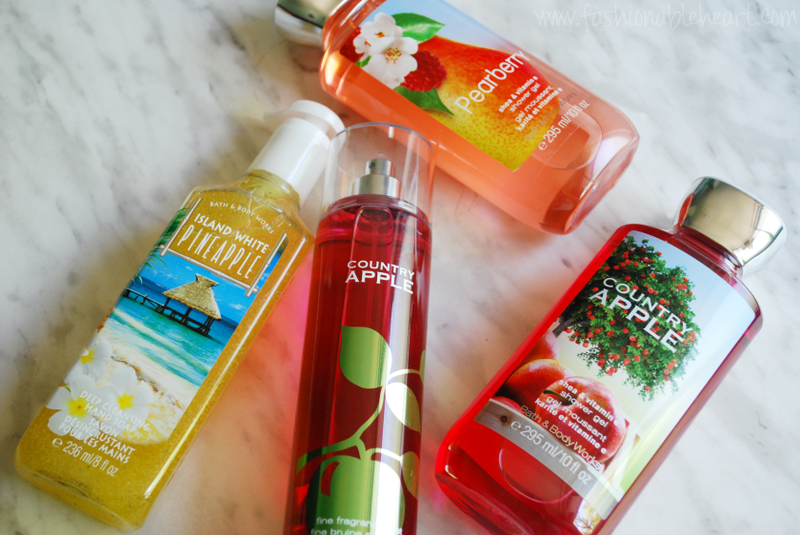 Country Apple shower gel - I love the new packaging! Do you have a favorite discontinued Bath & Body Works scent? 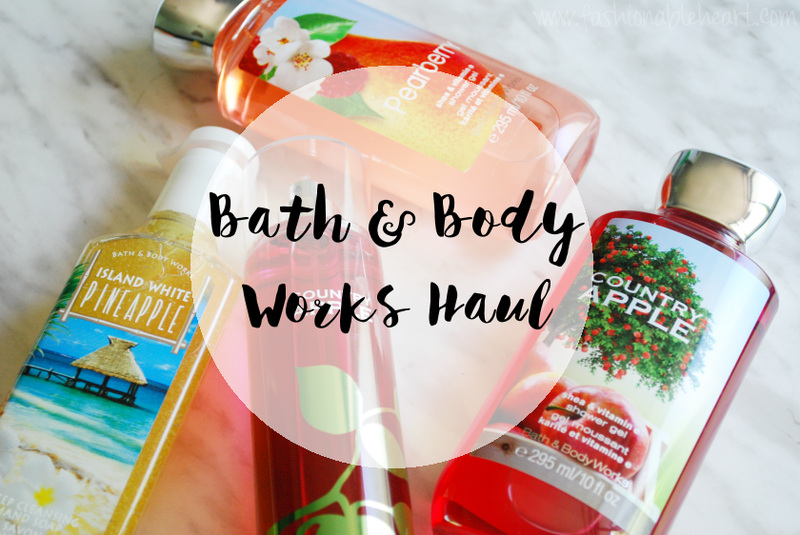 If you like Country Apple, Pearberry, Cucumber Melon, Plumeria, Juniper Breeze (my first B&BW scent I ever bought! ), or White Tea & Ginger, then you should go to your closest location. After this month, I believe they will still all be available but only online.